The Bad boy and the Good girl. Ideal couple, right? Think again. Your typical seventeen year-old tomboy. Funny, Sarcastic and Awkward. She acts like a guy but looks nothing like a guy, however you shouldn't let her looks decieve you. She has a passion for music and a love for skateboarding. Her life was smooth-sailing until she met the one and only Zach Cowen. Your typical Bad Boy. Motorcycle, looks, he had it all. He was the cocky guy who skipped class and didn't believe in love. He moved on from one girl to the next faster than the speed of light. He knows what he wants and when he wanted something there was no stopping him. He was the guy living next door. She didn't know who he was. He didn't know who she was. They both have a past and they both have secrets. But what will happen when long lost ex- boyfriends return, Alcohol gets involved, secrets are spilled and the devil inside of her is unveiled? He told her not to mess with him but she did it anyways. A/N this is my first book so please forgive me for any spelling mistakes and I really hope you love my book. Love you all. When Sasha Maybourne experiences yet another panic attack, she does the one thing that comes to mind. She runs... Right into Alec Stone. What she expects to be a one time interaction turns into a new found relationship, full of many interactions, with the one person she never expected. Sasha Maybourne is your typical 17 year old. She's outgoing, but shy,  smart, but naive. She has zero experience with guys, due to an unforgettable past that scarred her. But when she runs, literally, into the school player, her life may turn around. Enter Alec Stone, the highschool's bad boy/player. He charms the pants off of girls with his words and infamous smirk. When a girl runs into him, he can't forget her, and the more he learns about her, the more he wants to stick around. •gets better the more you read! There are very few things that are as they seem. Josh wasn't one of those things. Whats on the outside isn't what's on the inside. There are a lot of things that aren't what they seem. Jacklin isn't one of those things. She's exactly what's on the outside. Are the two really that opposite. You'll just have to read to find out. Join the family and ride this wonderful roller coaster that is Jacklin and Josh's life. Rose King doesn't live a normal life. Being the little sister of one of the most feared gang leaders in the world isn't easy. It may look like she has the perfect life, but don't let that pretty smile trick you. Jason Black,  gang leader of the Black Skulls, one of the most powerful gangs in the world. Everyone knows him, and with those gorgeous looks, girls throw themselves at him, but he has never shown interest in anyone. Yet, he's still looking for the girl that will change him. Sorry for any grammar mistakes this is my first book. Kimera Stright is a typical tomboy skater girl , she loves being around the guys and can't stand being a stereotypical girl , she loves to ride her skateboard and has a perfect A+ grade record. She has so many problems to deal with such as the horrors of home. Two dead parents and pain beyond all compare. When she receives yet another ugly grade, her teacher sets her up with a student tutor in her class, who also so happens to be the bad boy. 11/23/16 - hit 1k ! 01/31/19 - hit 100k reads ! Her names Daniela Conners aka Danny. 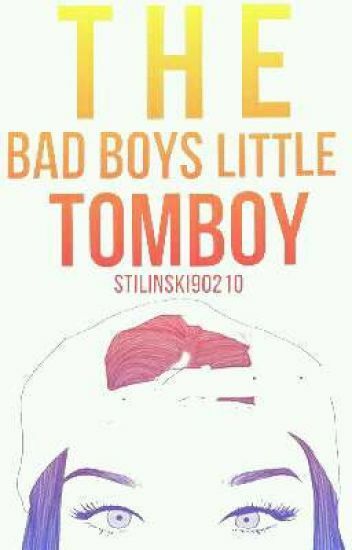 Shes a tomboy. She loves to skate and play football.She loves sports. Her family just move to Los Angeles Ca from Maine. His name is Andrew Garcia. He is the popular jock of Cershaw high school and captain of the football team. But hes not as self abosrbedas you would think. He's lived in LA all his life. What will happen when they meet?? Hazel Deven wasn't your average teenage girl. She didn't like gossip or dresses, didn't obsess over boys, and hated how snobby the girls were at her school. Instead she read comic books, liked to make music tracks of her own, and played football with her friends. She always hung out with the guys and never really paid attention to how "good looking" they were. But when Bryan Hill and Mars Neil come into her life she can't decide on her feelings. Mars Neil is called the "golden boy", if you will, along with his 4 friends and trust him, it's not that fun. Getting weird stares from kids, being "worshipped" and girls always up on you. It's like you can't breathe but when he first sees Hazel Deven he wants to get to know her right away. If only Bryan would back off. Bryan Hill just came back from his suspension. His friends are happy to see him and he returns the favor. But when he notices a girl is hanging with them. He couldn't be any more upset. He plans to make her life a living- But when he notices her personality he can't help but feel butterflies. Chapter one posted Re Written. "You guys are dead." Jacob threatened. "No we're not" I said calmly. "Oh yes you are." Jay said. "Go ahead and try. See how we react." Rina said, just as calm as me. Jacob took a step towards us. Rina and I looked at each other before screaming like they were actually killing us. The boys winced. "Ok I won't touch you. Gosh" Jacob said and rubbed his ears. "But you will pay." said Jay. They both got up into our faces and I was about to scream again when Jacob said "You have just declared a prank war. Welcome to hell ladies." He pushed past us and walked out the door. Jay winked at us and smiled evilly before following him. "What have we done?" She asked me with a panicked look. Meet Rina and Mira. Two sarcastic, sassy, best friends who were stupid enough to play with fire. Ever since that day in the mall where they accidentally threw a M&M at some random boy, their lives have gone downhill. "Oh my god!!!!" I shrieked. I got into my dream college of architecture. THE SCHOOL OF ARCHITECTURAL AND DESIGNING SCIENCES,LONDON!!! My best friend Susy and me are going to the same college.I couldn't believe that I actually got through it. This is Naomi Wilson a very chirpy girl who just got into her dream college.She goes the name Nao(pronounced now) by all her friends and family.Her full life was planned.Get into her dream college,meet a nice and hot guy,live with and grow old together. But she is also very sarcastic and has the comebacks which no one would be able to come up with so quickly.She has a perfect life and doesn't want any imperfections in it.But she also has dreams.Very interesting dreams. "Oh my god" I shrieked. What have I got myself into I thought.How much ever I try to run away from this it ends up coming along all the way.How do I get away from this.Oh god please save me. This is Ashton Miller.He goes by the name Ash.He is the name on every girls mouth.He is the guy everybody wants to be.But he doesn't like his life.He wants to change it.He wants to be something completely different...something completely opposite.He is forced by his parents to study architecture as he is the only heir to the Miller Architecture Associations and he HATES it. Then there comes this person. When he sees Naomi at first sight he falls HARD for her. He has already decided to make her his. What happens to Ash and Nao when already one person at his first song of Nao that she will be his. Lets see how these two lives come along and what happens to them when this third person comes along.